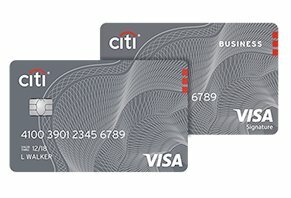 Costco Anywhere Visa Card by Citi Reviews - Good Rewards? Visa has partnered with Costco to offer a new credit card with rewards in several different categories, including travel, gas and purchases at Costco locations. If you love warehouse club shopping, you’ve probably heard that Costco is offering the new Costo Citi Anywhere Visa. The card offers you yearly cash back rewards at varying levels for gas, restaurants, travel groceries and more. The credit card world is full of these types of offers, so it’s pretty overwhelming trying to choose which rewards card is a good fit for you. It’s kind of like the feeling you get the first time you step into the cavernous, merchandise-laden space that is your local Costco, right? We wanted to know the details about this card: How do the rewards work? What’s the fine print you might be missing? What are other people saying about this credit card? As we explore the answers to each of these questions, you’ll start to get a pretty clear idea of whether or not Costco’s Anywhere Visa is the right cash-back card for you. 4% back on gas purchases up to $7,000 (you’ll max out at $280 in this category). You’ll also get a 0% APR for any purchases made in the first seven months you have the card. Costco sends you a rewards coupon in February every year equal to the amount of rewards you built up the previous year. You can cash that in at any Costco location for money or to put toward a purchase. However, you can’t cash out whenever you want like you can with other cards. With the basic information about the rewards program out of the way, let’s take a look at the fine print. The sections with the smallest letters often have the biggest impact on your experience with a credit card. Once the average consumer reads through the big promises for cash back, they either leave the website because they aren’t interested or they sign up for the card. Do you see what’s missing from this process? Reviewing the terms and conditions. That kind of research can be super annoying, so we’ve combed through the fine print so you don’t have to. What Kind of Gas and Grocery Rewards Can I Expect with the Costco Anywhere Card? According to a Dec. 2015 report from CNN Money, the average American spent about $1,400 on gas in 2015. If you use your Costco Visa to make all those purchases, your end-of-the-year rewards will be about $64 (4%). And if you’ve got two cars and two drivers, you’re looking at about $128 in rewards. Now, let’s say you do all of your grocery shopping at Costco. How much money can you plan on getting back at the end of the year with your 2% rewards? If the average shopping bill for a family of four is any indication ($895 per month), you’re looking at about $216 per year. So far, our tally for the average household’s rewards is $344 per year. In our opinion, that’s a pretty decent payoff for using this card. Are There Any Gas Stations or Grocery Stores Excluded from the Reward Program? This is another important question, as nearly every cash back card has its own set of restrictions on what kind of purchase qualifies for rewards. Your gas purchases only count for 1% if you fill up at superstores, supermarkets, convenience stores and warehouse clubs. Any restaurant purchases made at bakeries and at restaurants inside of department, grocery or warehouse stores will count for 1%, not 3%. We think Costco has put these rules in place to make sure you do all of your shopping at their locations. They don’t want you buying gas anywhere else – that’s why, in our opinion, they drop your rewards rate if you get gas at any of the gas stations that fall into the categories we mentioned above. And think about the gas rewards from this perspective: you’re probably more likely to go in the store if you’re outside getting gas. You might remember something you forgot last time you went shopping, or you may want to go in and browse. Either way, you’re in the store and your chances of spending more money just went way up. From our perspective, this shows that Costco has set up their rewards program to keep you loyal to their stores. They get the benefits of your loyalty – more sales – and you get the benefit of accumulating more cash back when you shop at Costco. What happens when it’s time to cash in those rewards? That’s what our next section is all about. How Do I Redeem Costco Anywhere Points? Your rewards are sent out in the form of a coupon by mail in February, whether you have paperless billing or not. If you choose to use the rewards for Costco purchases, any balance left over at the end of your purchase will be given back to you in cash. If you choose to redeem your rewards for cash, it’s up to Costco if they want to give you cash or a check. Your rewards must be redeemed on or before Dec. 31 of that year. If you close your credit card account before you use your rewards, you lose your rewards balance. As you can see, there are some pretty crucial rules here you can’t forget. To get back to what we were saying earlier, we think the rewards system is set up to keep you at Costco – it’s no different with their reward redemption policies. Let’s say you totally forget about your rewards and you’re a few weeks away from the end of the year. A likely scenario would be you going to Costco to buy Christmas presents with your rewards before they expire. That’s a win for Costco. Also, we’re not sure how often they send you a check instead of giving you cash, but that could be a serious frustration for someone who needs cash immediately and is told they’ll have to wait for a check. These last two examples are hypothetical, but we think they speak to likely scenarios. So, keep these things in mind as you figure out if you’re going to apply for the Anywhere Visa. What Are Other People Saying About This Card? When you read reviews, remember that you’ve got to recognize the various aspects of owning a credit card: the card’s benefits and customer service. You’ll see consumer perspectives in each of these areas as we look over reviews for the Costco Visa. One thing to keep in mind is that Costco recently changed their credit card from American Express to Visa, and that shift resulted in some account hiccups you’ll hear about in a few seconds. The users at NerdWallet gave the card an overall score of 1.5 stars, while 37 reviewers on Credit Karma rated it at 3.5 stars. Common complaints were that new and replacement cards never showed up or took a long time to arrive. Several customers complained about Citi’s phone-based customer service, while others complained about unwarranted charges that happened during the Amex-to-Citi transition. A June 2016 article from Consumer Reports pointed out that the Citi card offers better rewards than the previous American Express card. Will You Be Happy With the Costco Anywhere Card? Let’s do a quick review. Costco’s new card offers decent cash back rewards on gas and groceries (more than $300 per year), but the best cash-back percentages are only available if you shop at their store or fill up at their gas station. If you’re already a Costco customer, these are some pretty great benefits. Also, if you’re a member, you won’t pay an annual fee on the card. However, if you don’t do much shopping at Costco or you’re single (on the low-end for grocery bills) and work from home (paltry gas bills), then there’s a good chance other cards are a better fit for you. Those cards won’t tie you to one particular store, which is the main drawback of the Anywhere card. If you don’t live near a Costco or you like to shop at grocery stores or boutique markets, this card may not be a good fit for you. You’re more than welcome to sign up for the Anywhere card, but we’d encourage you to check out the Discover it, Chase Freedom or BankAmericard Cash Rewards. I have Costco Citi Credit card for about a year now. Their customer service, dispute department, lawyer to handle the dispute, etc. are worse than one can even think. I have applied for this card with having a correct name. I received the card with all the letters combined (two words) in the first name. I needed to talk to them more than 20 times to change it. Every time they mentioned your card having corrected name is on the way. But, I received the card having the same mistake for five times. Sixth time, I received the card having the correct name. I have disputed one charge of $1012 because merchant (airlines) charged me twice for the same transaction. I received money back for one charge. But, I could not use my ticket. Airlines company mentioned credit card company refused to pay for my ticket. But Citi says they paid 2 times for this ticket. So, I asked my credit card company, who has the money $1012 as Airline says, they don't have money for the ticket (that's why airline did not allow me to use the ticket to travel), although I see two charges for the same transaction. Within the two charges, Airlines refunded me one charge. Citi customer care repeatedly said the airline has the money (one charge within two $1012). So, I asked them to dispute the other charge. But, Citi did not give me the remaining money of $1012. I am a Costco member for last 25 years. For many years after joining, it was only membership card required to be a member, then after Price Club (which changed after years the name to Costco) introduced American Express card to use also as a membership card. Over the years I had never had any kind of problem with that credit card or membership. Some three years ago, Costco chose to switch to Citi Visa card, which is the worst card in Customer Affairs reviews records, available online, and then in a little while, problems started. In the middle of October, Citi Visa notified me that series fraud suspected charges where noticed by their early Fraud Detection department, on my Citi Visa credit card. Two of those charges were - I was told - originated from Justice Women's Clothing store online. They were: $220.93 and $225.89 from the same date. Since I never ordered anything from them, I denied both charges. In about eight days after, I received two envelopes, each containing one children’s clothing item. In one envelope there were children’s cargo leggings - size 8, with Justice logo price tag $29.90 and invoice, in that envelope, for that item in the amount of - $220.93!? The second envelope contained children’s “Bow back top” - size 10, with Justice logo price tag in amount of $19.90 and invoice in the amount of $225.89 for that single item!? There was nothing else shipped or listed in those invoices, to justify the charged price of each envelope content in excess of over $ 200.00. In a few weeks both charges, in mentioned amounts, were placed onto my Costco Visa credit card, to be paid by me as reversed charges! The next day as I saw those fraudulent charges on my account, I called Citi Visa and spoke to their reps Tiera, Tina, Felicia, and Juby. I was switched to their so-called "Investigation Department" and spoke twice to Mathew and one time to Steven. Both of them hung up on me when I questioned their ability to conduct the investigation properly, for in my eyes it does not even follow logical steps. I told them that their decision, in favor of Justice, should not be based only on proof of shipment. They also should ask Justice for a copy of email (Justice should have sent to me) confirming my order, with list and prices of goods sold to me, which makes that total price. I also told them that routinely, online sellers, besides order confirmation, send to buyer an email, with a tracking number and Citi Visa should ask Justice to provide a copy of that email to Citi Visa. Justice cannot supply any of those emails to them since it is a made-up purchase. Their scam is based on high charge amount and tracking number to prove that there was a shipment made - they ship a "lollypop" and get a few hundred of dollars, proving to retarded Citi Visa "investigators" that tje shipment was made. Someone who put that single item in that small envelope (who works for Justice) and then after putting into it an invoice for $220+, knew very well that it is a scam. It is a very common scam on eBay by Chinese sellers, but eBay accepts hard proofs of scam (photos and scans) and makes refunds to buyers, for example, seeing a small envelope with the tracking number provided, claiming that a mink fur was shipped in that tiny envelope. I also offered to Citi Visa "investigators" hard proofs, to prove it is a scam, by sending Citi Visa copies of shipping labels, attached to those small bubble envelopes, and pictures of shipped items. I was told that Visa "investigators" know what they are doing and besides that, Citi Visa system does not take any email attachment files. Citi Visa "investigators" feel that they can hang up on callers, without any penalty (as they feel like it), as nobody can punish them for their actions. They are so much in charge doing it, that I get the impression that those actions are part of their Citi Visa job training. Though it is unfair to Citi Visa customers, from a credit card point, it is OK - when there is a charge they get their portion of that money, and that is only what counts. I would not be surprised if Citi Visa turned out to be a fake for there’s something fishy about them in my opinion. Since I can see online there are cases like mine regarding Citi Visa improper conduct and procedures online, fraud investigations are very common, they should become a subject of investigation of the Attorney General's Office themselves. In the meantime, I intend to close that Citi Visa credit card account and may be giving up on the Costco membership as I feel they got associated with crooks. I will stick to BJ’s and Sam’s Clubs, whose memberships I also have. Fraud alerts on credit cards are common while traveling. I get it. But, when you call the fraud department to tell them that you made the charges, you don't expect to get a rude customer service experience and an answer that they can only text to a local number for the identity identification. DUGH...I'm traveling overseas like I notified you guys. Thus, I do not have access to my local number. And, texting is the only way to clear it up with them. They can't text to a local number, they can't email, thus...they can't do ANYTHING for you! First Costco had AMEX, which was just as bad. Now CITI...Costco, when are you guys going to learn? And, the manager that I talked to since the first line representative was not trained in handling an overseas fraud issue, was simply RUDE, trying to tell me that they couldn't help me without a local number. I have had my new Citi/Costco credit information stolen from me at least four times in the last year and a half. I have had charges made to it from all over the nation. This has not happened with any of my other credit cards, and I don't know why. It is a real pain in the neck to have to keep giving the internet company, etc. the new number. This time it was only two weeks after getting the new number. I am beginning to think this is an internal breach since I have taken all kinds of security measures to protect the number. I am not a happy camper, and I wish Costco would just give us a member card and be done with it and not mess with the credit end of it. Cash rewards expire and they will not credit them to your account! I am over 70 years old and have had my Costco membership for over 20 years. In the past, I have used Amex then discover now Chase with Costco, all without incident. I have had Chase Visa, Fidelity Visa, Discover, Master Card, virtually everything. On all other cards I have ever had, the rewards DO NOT expire. I have the option of calling (or online) and asking them to apply my rewards for months or years back to my card balance. I do not get paper statements. All my credit cards are on auto pay. I download into Quicken and go from there. I just today was doing taxes and wondered about my Costco Citi Visa. I phoned them and they said they had sent me a $262.37 rewards card, but I had not cashed it, so it had expired. They did very nicely send me a replacement by email, but I still need to drive to Costco to cash it. I asked about the prior year, and they said that was $171.99, which again I never got nor cashed. They said the rewards had expired and there was nothing they could do. I called Costco and they called Citi on my behalf and the second rep offered me $85, "meeting me halfway." When I am in the hosptial with heart surgery in January and shoulder surgery in February (when they say they mailed it to me), I really don't want to have to chase lost mail or phone Citi to have them email me my rewards "or they will expire." Since no other credit card companies that I dealt with have this policy, and Citi REFUSES to let the customer apply a point reward to their outstanding balance, then it appears to me that Citi intentionally makes up for the greater rewards they offer by counting on a certain number of people not to go to the extra effort to actually get and use their rewards. The supervisors have bad attitudes. They appeared to be young and unseasoned. I called to pay on my card (I used the auto pay). It appeared not to go through, so a representative handled it for me. I have her the info, and she said I was set. She even gave me my confirmation number. A few weeks later, I received a phone call asking me to call Citi Bank card services. When I called, they said they were unable to process my payment so my payment will be processed as late today. I was furious. They had too many numbers in my previous submission. Mind you, my account is on file so how could that be? I asked to speak with a manager, and this took quite some time. The manager was in defense mode at the very beginning, telling me it doesn't show that I spoke with anyone but the auto payment processed my payment and I must have plugged in my check number as well. I differed with her, but she argued the point to death. Then she said (as if doing me a favor), "You are allowed one late payment fee in one year, so we can use that now." She waved the late fee. The principal is I paid seven days early. Another time in 2017, I processed a rental car through Costco membership using my membership number. A family member dropped me off and left for work. I presented my rental reservations and my Costco card. It was denied. The rental agent said "I'm sorry ma'am, but your card has been denied." I called Citi Bank and an agent from there said "Your card will not be accepted unless you apply for an increase. You can apply now and try and get an approval tonight." I said "well, I will have to because I have no way of getting back home from the airport." Again it was denied. I have been an executive member for years and have never been stranded by American Express card company, but these people took my reservations by phone, processed my membership number and cleared me, then left me stranded at night without a way to get home. I should have taken them to court for clearing me at the beginning. That is pure negligence. Citibank card destroys credit history. The biggest problems with the Costco Citibank card is they have a terrible attitude, and they don't care (big bank). The next is if you use the Costco Citibank card, you have no reporting to the credit companies, so you will have no credit history. They only report bad credit and nothing else. When making one of my infrequent visits to Costco in late November 2016, I unfortunately forgot about the termination of their relationship with American Express. Out of all the credit card issuers out there, I would have to rank Amex at the top of the list with respect to service and an overall positive customer experience. I’ve been an American Express card holder for 20+ years, and plan to maintain an account with them for the remainder of my life. I was dismayed to learn that the time had expired in which American Express was an accepted form of payment at Costco. During my visit, I only had an American Express Blue and Citi Dividend MasterCard in my wallet. Fortunately, or rather unfortunately, there was a Visa representative at the Costco location ready to take my information for a new Visa product on the spot. Without spending too much time evaluating the various program offerings, I decided to register for the Costco Anywhere Visa Card by Citibank. My low-risk credit score granted immediate approval of an account. I received a temporary paper credit card print out for my day’s shopping activity. One of the main reasons I had chosen the Anywhere Visa Card was the ongoing accumulation of cash rewards as part of my yearly purchase activity. The program sounded similar to that which is available through my Citi Dividend MasterCard. So without reading too much of the fine print, I moved forward with the application process. Only later would I discover that my experience with the Anywhere Visa Card would pale in comparison to my positive experience with Citi Dividend MasterCard. I soon learned that once you accumulate a certain threshold level of cash rewards, you’re required to print out your reward certificate and take it to a Costco location in order to redeem it. This is nothing like the Citi Dividend MasterCard program where once I reached a $50.00 threshold, and by selecting the "redeem option" they will automatically mail a check to my home address. With the Costco Anywhere Visa Card program you actually have to drive to a Costco location, get into a customer service line, and either obtain the desired cash value or use the amount for purchases! I also believe the redemption is limited to a yearly withdrawal. In addition to the inconvenient cash reward redemption process, the other incentives have little to no appeal. 4% cash back on gas purchases and 3% cash back on restaurant and travel seemed appealing at first, until you dig deeper. I eventually learned that only certain gas stations and restaurants qualify for this perk. After running some yearly projections on what the cash back amounts, it seemed like more of a hassle than a benefit. The variable interest rate on the card also appeared excessive compared to other credit card options. Today I canceled my yearly Costco membership, which was automatically billed to my Anywhere Visa Card. Something else I did not realize is that the Costco membership and credit card are actually linked together! By canceling my Costco membership, your Anywhere Visa Card is also canceled. Apparently, it takes up to two to three months for the Anywhere Visa Card to move into cancellation status. Perhaps this has something to do with their rewards programs and inconvenient redemption process. After reading some of the 1 and 2-star reviews, I can see I’m not alone in my disdain for this financial product. It appears that some of the other complaints about the card are related to unexpected account closers and issues with member accounts. Fortunately, I was not on the receiving end of this type of hassle. However, I’m sure I would have canceled the card a lot sooner had this taken place. In this particular situation, a poor experience with a credit card company motivated me to cancel my membership with the retailer that enrolled me in the card in the first place. In the future, I will always do my own research online first before applying for a credit card, and never fill out an application in store. Now that I will no longer be shopping at Costco, other retailers such as Sam’s Club are looking more appealing these days. It sounded good, so I got the card. Within 30 days, had six fraudulent charges on the account. They reversed the charges, but in the next statement, I had five more fraudulent charges. They reversed these charges, canceled the card and issued me a new card. In the next statement, I had five more fraudulent charges on the newly issued card! Unbelievable. I called, and they reversed the charges. After a total of more than three hours on the phone with them, trying to resolve all of these fraudulent charges, I canceled the card. All of this was in only three short months! NO CARD. Worse, I've been a long-time Citibank customer and I am appalled by this gross negligence on their part. Write a Review for Costco Anywhere Visa Card by Citi!